A friend of mine attended one of their webinars where they stated that they have been around for several years. Yet, I have done my research and I can't find anything beyond several months. I suggest staying away... To me, they're a scam. Very interested in that claim for $27K, on the child. How quickly was that bill settled? And, what was the process for getting that claim paid? 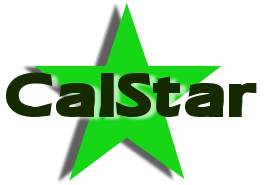 It's connected with CalStar Term Life. I never felt comfortable using them, so I didn't. I'm letting it go on 3/15/2019 as I'm not taking their liability coverage for something I'll never use. Kingdom Healthshare Producers have been asking for Professional Liability to protect themselves and their valued members. The day has come and Kingdom HealthShare is excited to announce that they have Professional Liability through Lloyds of London, an A rated A.M. Best carrier. Effective March 15th, 2019 all contracted Producers with Kingdom are required to purchase this coverage. To purchase simply click the link below. You will also need to complete the attached no loss warranty letter and return to [email protected]. Electronic signature is acceptable. This policy shall only apply to Professional Services rendered relating to Kingdom HealthShare up to $2,000,000 per claim. Kingdom’s request for coverage includes pricing that allows Independent Sub-Producers to have coverage for ONLY $160 per year! The policy cannot be cancelled within the plan year once procured from the Insurance Carrier. Upon receipt of payment and No Loss Warranty Letter, a certificate of coverage will be provided. Ongoing monthly emails and training modules will be offered for continuing education purposes. Prevention of claims is the key to everyone’s success and underlying profitability. Please note, if Professional Liability is not purchased and the No Loss Warranty Letter is not returned by March 15th, your contract with Kingdom HealthShare will be inactive. If you have any questions, feel free to contact your Contracting Team at 877-247-8868. We look forward to your continued business. IMHO, health sharing can be great to use personally. But as far as selling it - no way. Taking a concept like health sharing and setting it up to sell and make money on it will undoubtedly screw it up.